In a bizarre elemental display, a raging wildfire in Mohave, Arizona, created a swirling updraft, in turn forming a pillar of fire and smoke. Even more bizarre was when the blaze reached the river, and the swirling smoke over the water was suddenly transformed into a waterspout. The past month has been especially challenging, as wildfires rage across the United States. The fire was considered relatively small at 924 acres, but much of the brush being consumed by the blaze was saltcedar, which burns at exceptionally high temperatures. The video could be taken directly from Exodus, which described the pillars of smoke and fire that watched over the Children of Israel. Rabbi Yosef Berger, the rabbi of King David’s Tomb on Mount Zion, noted that the strange sight in Arizona coincided with a significant occurrence that shook the religious world in Israel. 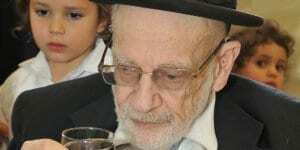 “On Saturday, when this vision of a pillar of smoke and a pillar of fire appeared on the other side of the world, a great tzaddik (righteous Jew) passed away in Israel: Rabbi Shraya Deblizki,” Rabbi Berger told Breaking Israel News. Rabbi Berger met with Rabbi Deblizki last year and asked him several questions concerning the geula (redemption). 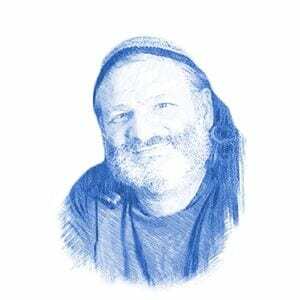 Rabbi Deblizki said that for 70 years the erev rav (mixed multitude) will rule in Israel but that period will end, and beginning this year, the rule of the erev rav will begin to wane. “It is written in the Zohar that a pillar of fire appears when tzaddikim leave the world and there have been many cases throughout history where this has been witnessed,”Rabbi Berger said, noting that Elijah the prophet, the harbinger of the messiah, left the world on a chariot that rose up on a whirlwind of fire. Rabbi Berger noted that Rabbi Deblizki performed many austere and difficult acts of devotion including fasts and all-night prayer sessions. “But the mitzvah (Torah commandment) he was most stringent in was in guarding his tongue from speaking slanders, lies, or even silliness,” Berger concluded. Watch as Firenado becomes Waterspout! Chris and Anne Mackie recorded this amazing video in Blythe on Saturday as a brush fire on the Arizona side of the Colorado River gives rise to a Firenado which then forms a waterspout! I'll showcase this tonight in weather on the KUSI NEWS at 6pm and 10pm.